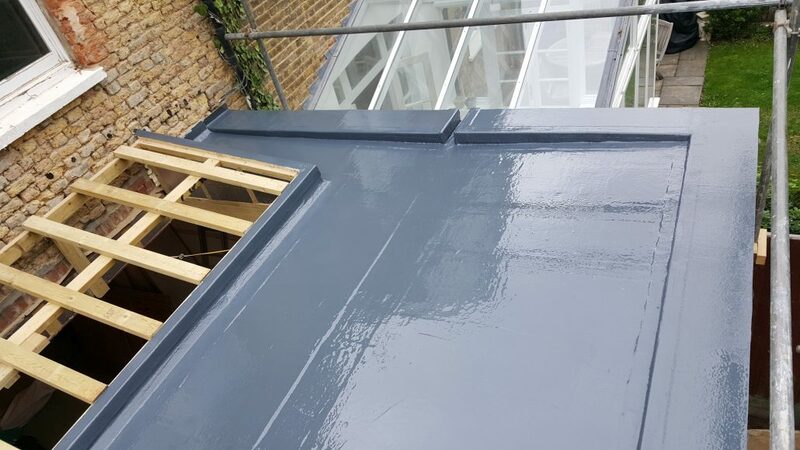 Laid GRP fibreglass roof undercoat. 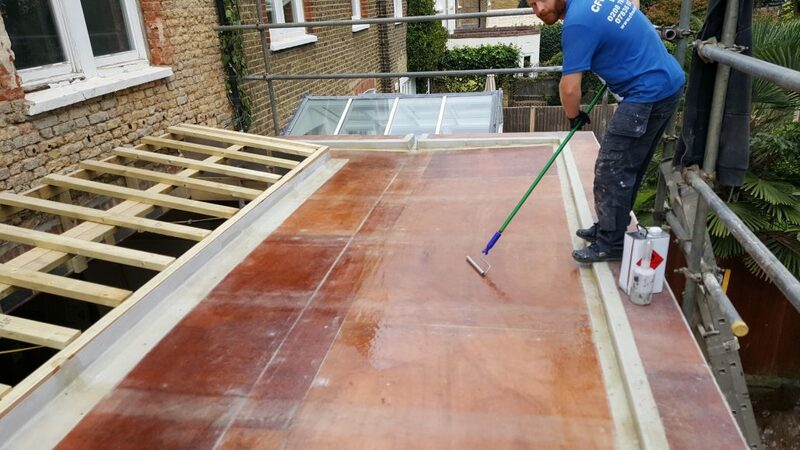 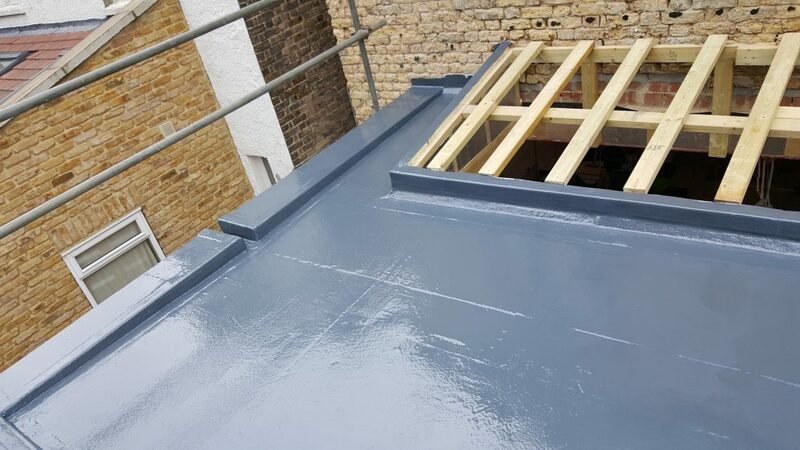 Laid GRP fibreglass roof top-coat. 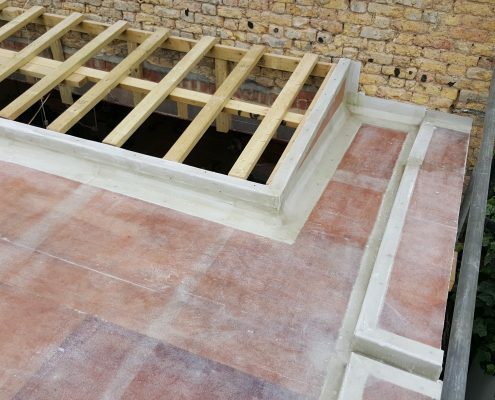 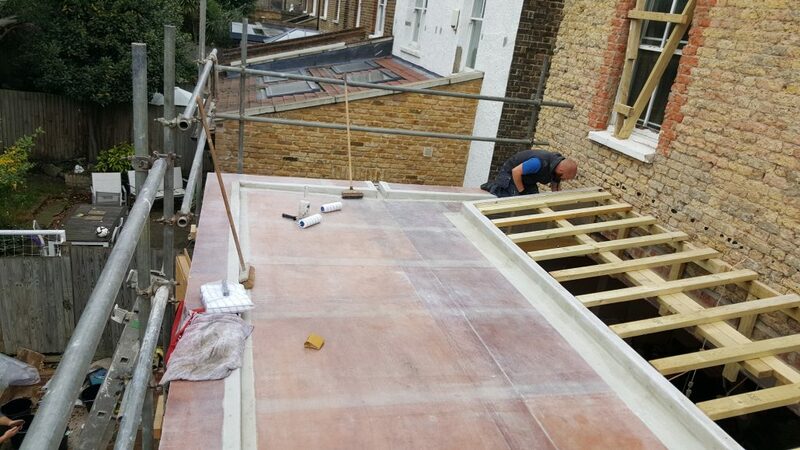 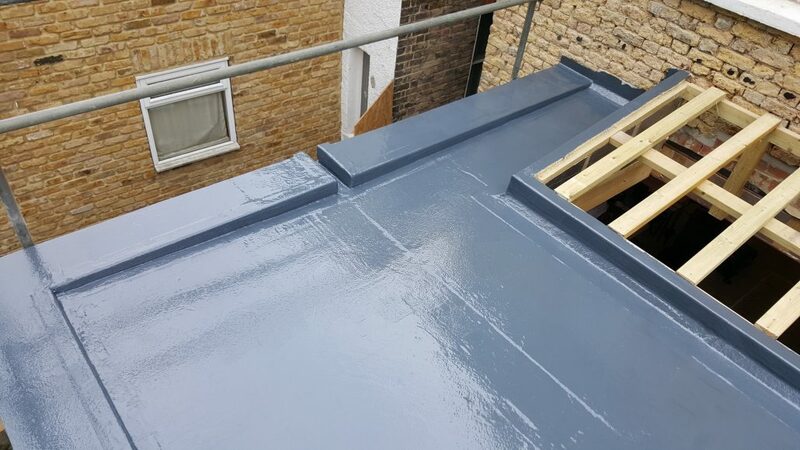 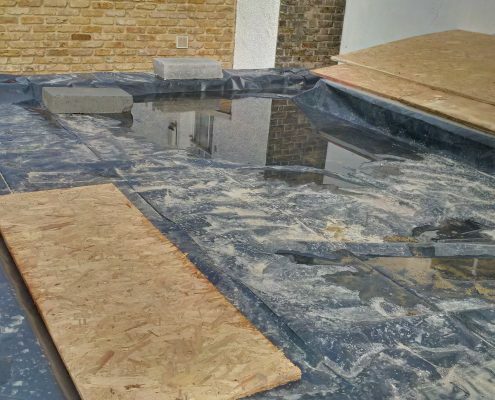 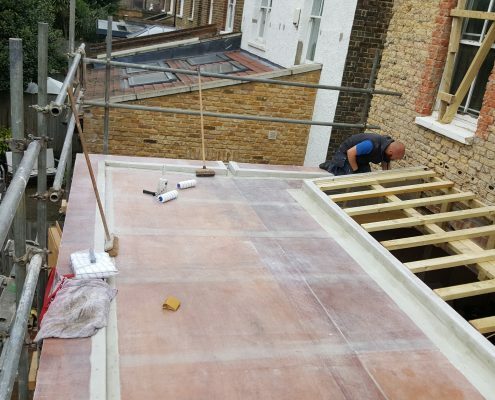 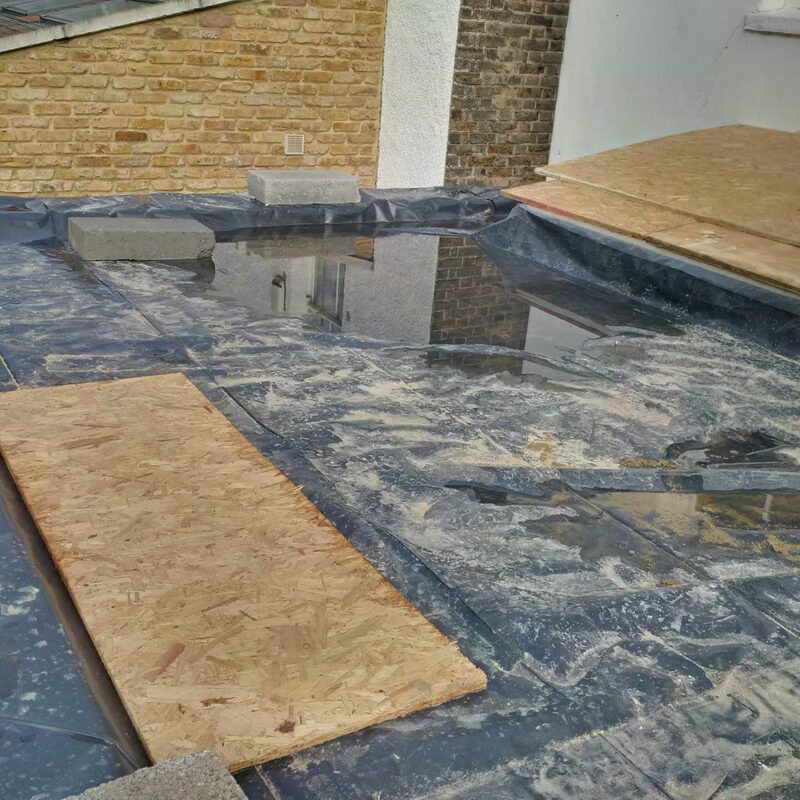 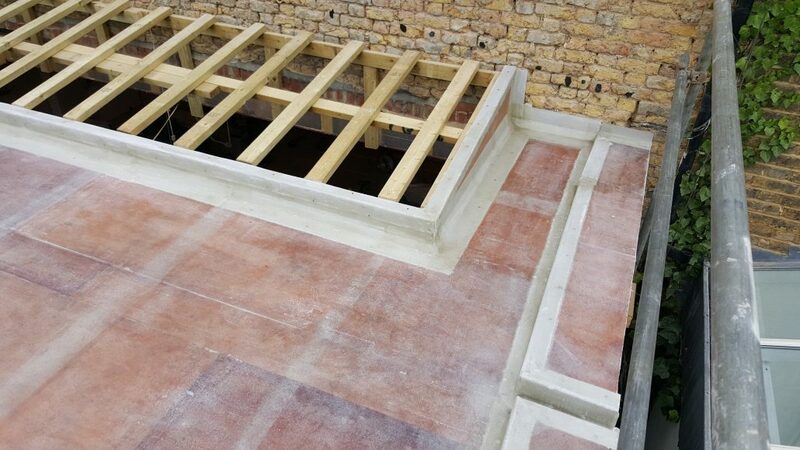 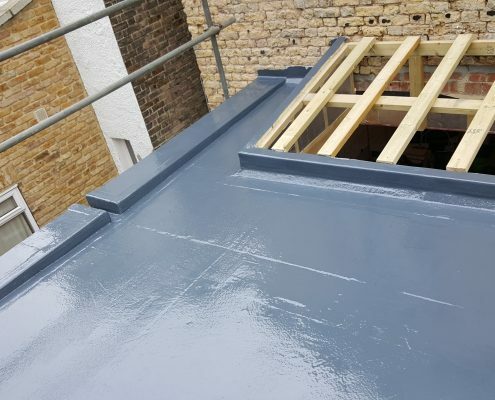 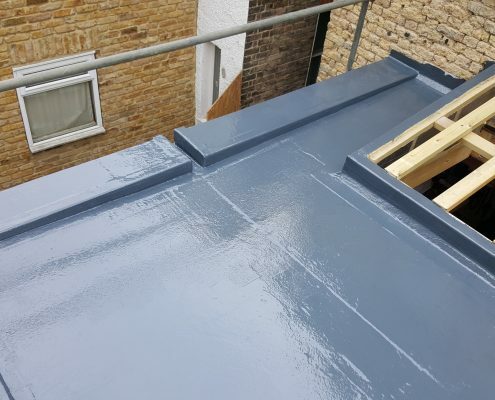 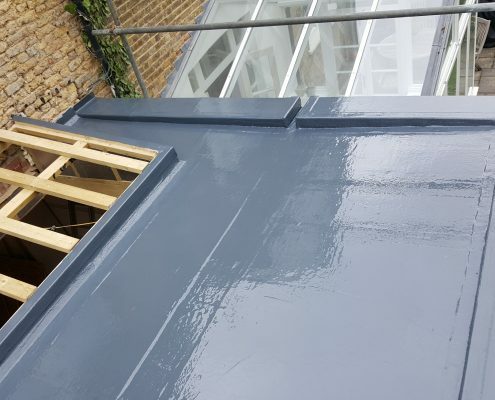 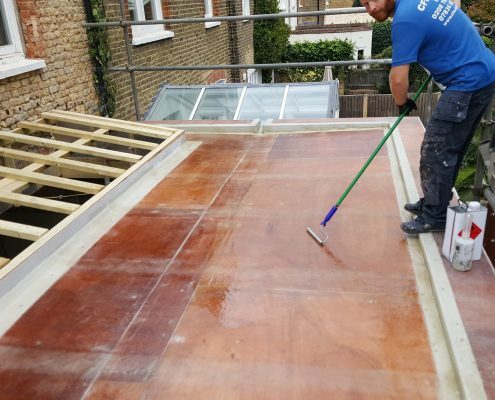 This project was undertaken for a local Building Contractors and we were required to install a new Scott Bader GRP fibreglass roof along with relevant external perimeter trims.